You May Have Called It 7th Grade. I Called it Hell. I am about to tell a story that I have never told anyone. Not my birth family, not close friends over the years, not even my husband of nearly fifteen years. I have been haunted my whole life by what happened to me, to several of us actually, while attending the 7th grade at Rockfield, Elementary school in Bowling Green, KY in the year 1977-1978. For thirty eight years, I have ignored it, buried it, and filed it in the drawer of “things I don’t acknowledge.” In the decade or so after that year, the scarring was still fresh; my identity was still defined by it. I would occasionally run into a fellow classmate and we would re-live those days. 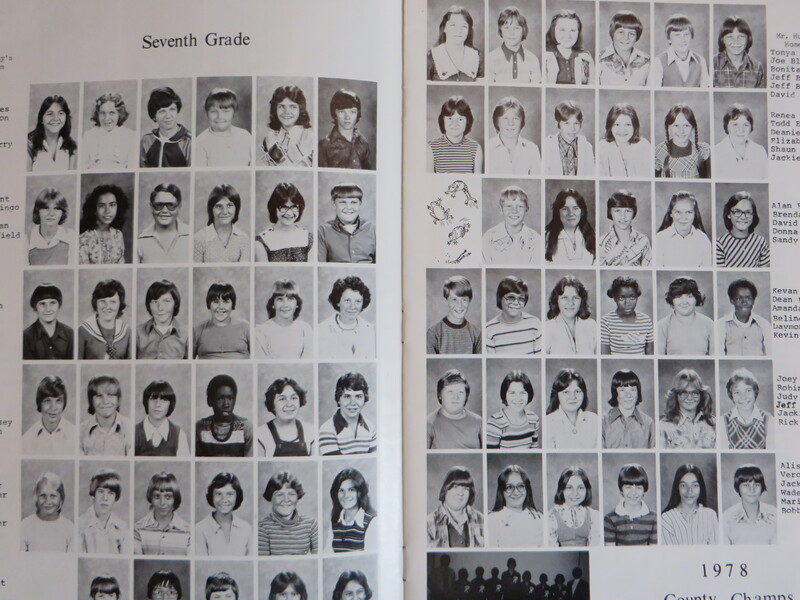 In the fall and spring of that year, a significant portion of the 7th grade class was systematically psychologically and physically abused by the two male teachers. Their names were Terry Ashley and Lynn Hunley. And they were sociopaths. The psychological abuse was never ending. Students were taunted and teased for their looks, dress and weight. One of their favorite punishments was making a student drop and do push-ups in the floor in front of the entire class because it wasn’t about the punishment, it was about the humiliation. And being a “good kid,” who never got in trouble wasn’t enough to save you. I know because I was one of those kids. And they targeted you. A sensitive and shy tween, with body and self-esteem issues, was forced onto the floor, in front of the entire class, including boys, which was excruciating, to do physical exercise as punishment for something as benign as telling the boy next to me that I didn’t have a pencil he could borrow. But if you think that was the end of it, you underestimate Mr. Hunley. As I was huffing and puffing through some really bad-form push-ups, Mr. Hunley snarled, “I knew I would get you sooner or later.” Then he called out, “Hey, Mr. Ashley, I got her!” The most telling thing about that remark, even to me in that moment, was that it made it obvious that they had discussed me; that they had planned and plotted to “get me.” It made them seem inevitable. There was no way to win. The taunting and embarrassment was traumatic, but it paled in comparison to your “birthday spanking.” Oh yes, they used this outdated “custom” as an excuse to physically abuse us. When it was birthday time, they would open the partition that separated both classrooms, because like hangings in the town square, this was a public execution. And regardless of which one of the bastards’ classes you were in, you got hit by both of them. To help you “celebrate” your birthday, they would call you up to the middle of the room, so that all seventy or so kids could have a decent view, and make you bend over, placing your hands on the table in front of you. Then they would give you one wack with a paddle that was probably three feet long and made of solid wood. Each of them took their turn. If you were a “favorite” of theirs, usually the athletes, but sometimes a teacher or cop’s kid or a just a pretty girl, you got a silly little tap and everyone laughed about “what a good time we are having!” But if you were one of the ones they targeted, usually the poor kids, or shy ones, they didn’t just give you a little pop; they hit you as hard as they could. And sometimes, they tormented you before they did it. When it was my turn to be hit with a thick wooden board in March 1978, to celebrate my 13th birthday, Mr. Ashley first commented on how thin the material of my pants was and how this would hurt so much more because I had no padding. Then, he pulled the paddle way back in a swinging arc, paused and said, “This is for” and then he stopped, looked at Mr. Hunley and said, “Well, you know what this is for.” Then he brought that board down with such force it took my breath away. I didn’t cry. I would have died before that happened. As a matter of fact, I don’t remember anyone ever crying. Lunch was immediately afterwards and I remember saying, as I angrily burst through the doors to the cafeteria, that if I ever saw them on the street when I grew up and could drive a car, that I would run over them. That was the only way my child’s mind could imagine stopping them, to run over them with a two-ton vehicle. Then we all went back to class and on another day, it was someone else’s turn. They were particularly brutal with the boys, hitting them harder than most girls – except for me – I think I got a boy hit. Sometimes, when it was two boys’ birthdays, they would bend them over back to back, and then paddle back and forth as fast and hard as they could in the space between their behinds, hitting them simultaneously. That was when they gave you a lick for each year, but I don’t know how they could have counted the strokes going that fast. I guess I was lucky to only get one hit for all thirteen of my years, but then again, thirteen of them at that force, and I would have passed out. But I would not have cried. I never could figure out what the extreme force of Mr. Ashley’s lick was for – was it because I was a good student who never got in trouble and he couldn’t stand it? Was it because he was the basketball coach and while I was 5’9,” he couldn’t encourage me to play basketball? My mom had previously gone to the school over some issue that I can no longer remember. I always secretly suspected that it was punishment for that. Which made asking an adult for help a bad idea because there would be repercussions. There was no way to avoid your birthday. If your birthday was on the weekend, “welcome to Monday!” If your birthday was in the summer, you got beaten the last week of school. The week proceeding my birthday was filled with dread. I was physically sick at the thought of going to school. I didn’t think I could do it, but to play sick and stay home, would have just delayed the inevitable. As I said, there was no way to escape them. I never told my parents. As far as I know, no one ever told. You just didn’t do that back then. You did not challenge authority. Ah, the good ole days when kids knew their place and the force of a belt. Over the decades, as time and children have changed, I realized that they could not get away with this now. Some kid would record it on their iPhone and bring their whole enterprise down. I imagine that they both got out of teaching once savvier children and technology made their little fun house of humiliating games impossible. I often wonder how many more years after 1977 they got away with it. I used to fantasize about going back in time, as the person I am now, and refusing to go to the middle of the room. What would they have done? They couldn’t physically drag me up there, but these were also the days of routine corporal punishment. All they needed was a thinly veiled excuse to take me into the hallway, with only themselves as witnesses, and it would have been far worse than my birthday spanking. I might have dropped dead from the anxiety of waiting for that to happen. Sometimes, even now, thirty- eight years later, I google their names hoping to find that they are dead, or maybe in jail, but I have never found them. In college, I had a teacher who terrified me. I was highly anxious when I had to be in his office or talking to him alone and I could not figure out why I had that reaction. He was perfectly nice. He had never done anything to me, but he made me very anxious. Then one night, I had a dream and in that dream, my college teacher was replaced by Mr. Hunley. When I awoke, I realized that one resembled the other and that my subconscious was reacting as if this innocent man was my tormentor. This was a decade later, and someone with only a resemblance to one of these hateful monsters, could still make me tremble in fear. I don’t think about it very often anymore. Thankfully. I wanted to share this story to see if there were others similarly traumatized by these sick, pathetic excuses for teachers. I wanted to shed a light on what when on there. 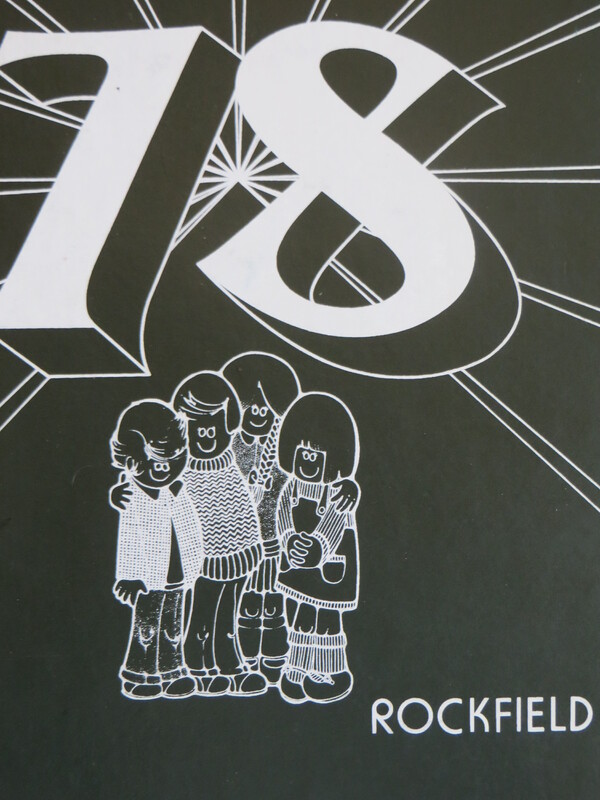 If you went to Rockfield in those years, or knew them in another setting, please share your story. If they are still alive, and not dead and in Hell yet, maybe they will recognize themselves. What do I imagine they would feel? Probably denial, like most guilty people. But I am okay now. I survived Ashley and Hunley. I am also grateful to be raising a daughter in a more sensitive age. Corporal punishment at school is not an option for her. My 9-year-old has never been hit in her life, much less for her birthday. Even if you weren’t tormented by these two particular sociopaths, if you have a similar story, and it would help you to tell it, let me know. 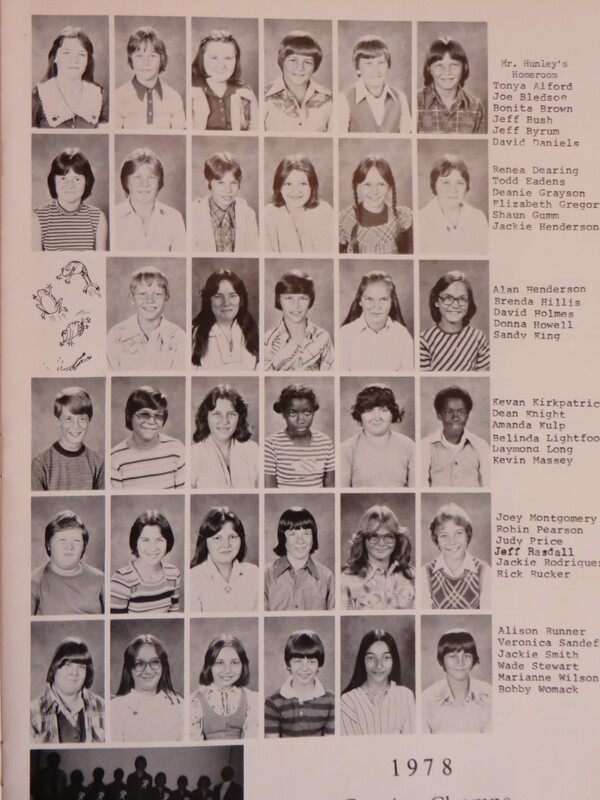 And to finish the rest of the story, I, too, was a favorite… in 8th grade. Remember me saying that Ashley, who was the girl’s basketball coach, wanted me to play and I said, “no.” That was the year I nearly passed out from the pain of my fun and festive birthday spanking. In 8th grade, I gave up and played ball. I never received another snide remark from either of them. So, I totally understand the ones who loved them, but unfortunately for me, I have the perspective of being at both ends of their attention, both a targeted one and a favored one, and one does not negate the other. I can be contacted through this blog, on FB at Renea Dearing Dijab or on email at reneadijab@hotmail.com. After sharing a very personal story on December 17th, 2014, titled “You May Have Called It 7th grade. I called it Hell,” a reign of physical and psychological abuse by two male teachers, at Rockfield Elementary in Warren County, KY in the 1970’s, I was contacted by ghosts of the past. If you read this story, please take time to share it or re-blog it. Many Thanks. 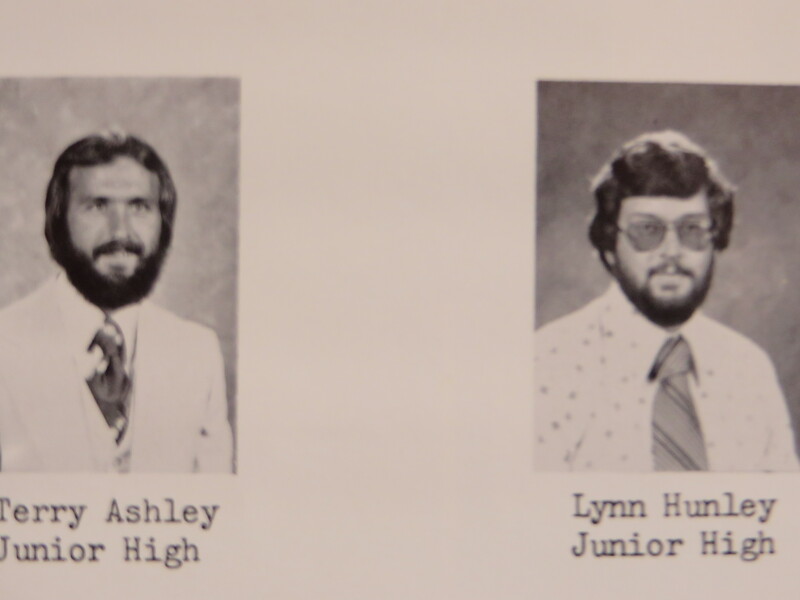 I heard from other students who shared my experience of having Terry Ashley and Lynn Hunley as teachers; they validated my memories, and they shared their own, in some cases, even worse than what I endured. Nearly four decades after the fact, the mists of time had parted, and now-grown men and women, had come forward to tell me what they saw and experienced there, when they were just children. “To help you “celebrate” your birthday, they would call you up to the middle of the room, so that all seventy or so kids could have a decent view, and make you bend over, placing your hands on the table in front of you. Then they would give you one whack with a paddle that was probably three feet long and made of solid wood. Each of them took their turn. And they didn’t just give you a little pop; they hit you as hard as they could. And sometimes, they tormented you before they did it. Interestingly, only a couple of men responded to my request for their stories, and since the boys were usually treated far worse than the girls, I know there are more horror stories out there. I concluded that our cultural expectations of what it means to be a strong and powerful man, is the reason that as adults, they did not want to travel back to a time in which they were abused and powerless. In 2015, I think it is difficult to imagine teachers getting away with this for years. I mean, we have YouTube for God’s sake. Can you imagine the uproar? The terminations, investigations and criminal charges? Someone would have been interviewed on The Today Show. The school district would have been sued. But 1978 was a very different time. Today, adults are always wishing for the “old days” when children respected their elders, and were disciplined with violence. That always pisses me off, because THIS was the “good old days” when no one ever defied them; no one ever challenged them, and until I found the courage to tell my story for the first time, nearly forty years later, most of these stories have never been told to anyone. And I am not niave. I imagine this world is filled with untold stories like these, but these are ours and we own them. I hope the sharing has been therapeutic and helpful to all who trusted me with their stories, but in addition to telling our stories to each other, there are two very special people in this world that we want to hear them. We are no longer hiding, cowering in shame or sadness. We have the power now; the power of truth, the power of owning our story, and we want to share it with Mr. Terry Ashley and Mr. Lynn Hunley who taught 7th grade at Rockfield Elementary, in Warren County, Kentucky in the mid-1970’s through early 1980’s. Wherever they are now: Mr. Ashley and Mr. Hunley, we hope you remember us, because we remember you.